We got a new attachment for our Kitchen aid mixer. I am excited about making homemade ice cream again. 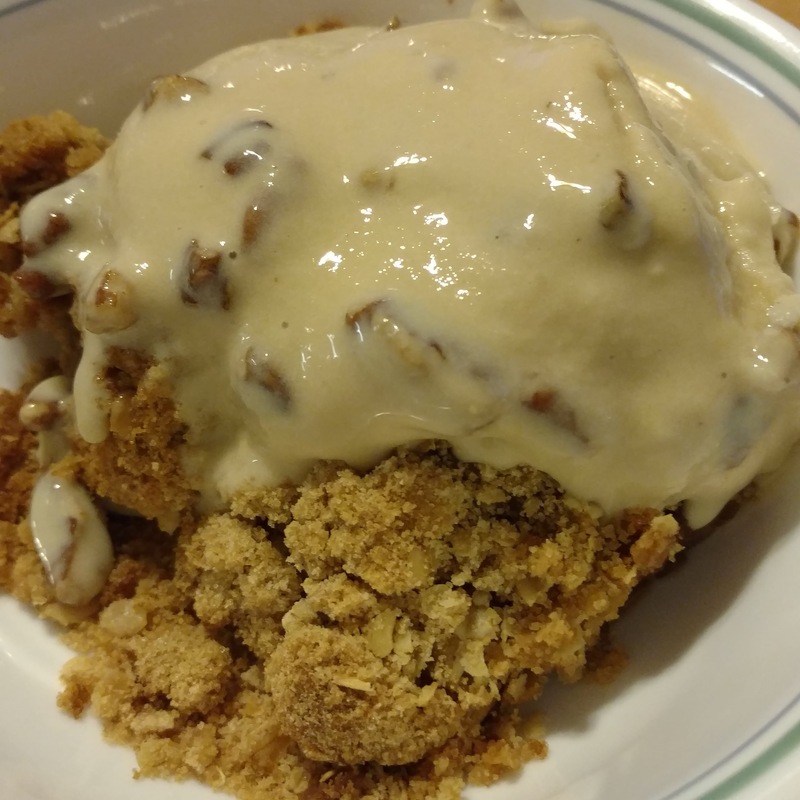 My husband made apple crisp and caramel pecan ice cream.